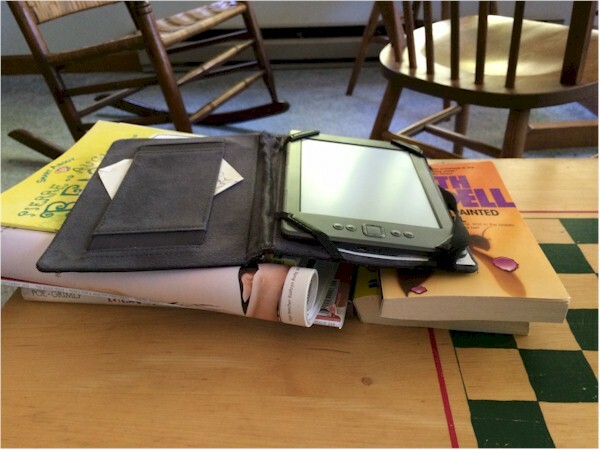 This morning I gave up on a book and shelved it in my Kindle under "Didn't Finish." I had started skimming by the 10 percent point and still ended up making the decision that life is short. There was just no reason to spend time like this. 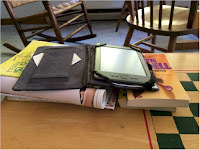 My Kindle is loaded with goodies I download during free promotions or buy on sale. * This is my way of discovering new authors. At some point I dip into the Kindle and see what turns up. For instance, I recently found Longbourn by Jo Baker on my Kindle. Must have bought it on sale. Superb book. Believe me, I'll be remembering that writer and considering some of her other titles. Obviously, that was not the case with the book I gave up on this morning. I hadn't been reading long when I began to suspect it was self-published. Sure enough, it was. What was the tip off? Telling vs. Showing. Today's book had chapter after chapter of telling instead of showing. Some people argue that the show-don't-tell rule is a meaningless cliche. But what telling does to a story is make it incredibly flat. There's not much in the way of action, so there's not much narrative drive to make readers want to continue reading. Here's an example for you. While a protagonist walks home from work, she can recall (tell us about) having seen a person on the street approached and dragged away by federal agents. She may say it was disturbing, but it's all in the past. We know she is still here to tell the tale. Or, while a protagonist walks home from work, she can witness a person on the street being approached and dragged away by federal agents. The author is showing us the event as it happens and as the protagonist experiences it. For a moment or two, we feel suspense, because we don't know what is going to happen. We don't know what the character witnessing the event is going to do or how it is going to impact her. And that is why show vs. tell matters. As I said, I often find showing missing in self-published books. Little distinction among characters. They seem very much alike. No voice. Lack of a strong, distinctive voice for the main character. No understanding of plot. Random events strung together into a plot instead of events having a causal relationship--Event A leads to Event B leads to Event C. Randomness is both confusing and undercuts narrative drive. Things drag. Unnatural descriptions. The story stops moving forward so the author can describe a character or setting. More copy errors than we usually see in a traditionally published book. One or two errors in an entire book are barely noticeable. But much more than that and readers become distracted. Copy errors matter because every time readers see a letter missing or letters transposed they are taken out of the reading experience. They realize they are no longer in the world of the story. A bad self-published book might include many of these problems. I have to say I've read only one self-published book that I thought was really good, Do Not Resuscitate by Nicholas Ponticello. I also thought Due North by Melanie Jackson was well done, though it didn't fit into a traditional publishing niche. However, I don't read a great many self-published books. There may be some kind of percentage thing going on with these things whereby X percent are good, and you have to read a great many in order for that X percent to amount to much in real numbers. What About Bad Traditionally Published Books? Running out of steam. Series that ran on too long. Stereotypes. Characters are well defined, but stereotypes. Books that are bloated. They just should have been shorter and tighter. Fantasy series that rely on weird stuff happening. As the series progresses, you're basically just getting more and more weird stuff. The weirdness has to be cranked up, and that's pretty much all there is. And Why Don't We See More Of The Self-Pubbed Problems In Traditionally Published Books? My assumption--and it is an assumption--is that the publishing system actually works, to some extent, at least, and agents and editors screen out the tell, tell, tell stories, the stories without distinctive characters, without voice, without a well-constructed plot. And publishing companies definitely employ copy editors, so we see far fewer missing letters and gaps in lines, etc. We get far fewer of those kinds of distractions. Today I was feeling very warmly toward the traditional publishing world. I felt I was unlikely to find myself reading something like the book I shelved today, if I stuck with traditional pub. Yippee doodles for Gail the Reader. But then I thought, Wait, if the traditional publishing world is doing this great job keeping books out of the publishing pipeline because they're filled with telling instead of showing, characters who seem alike, characters with no voice, stories with no plot, AND the traditional publishing world is also keeping my books out of the publishing pipeline, does that mean that my books are filled with telling instead of showing, characters who seem alike, characters with no voice, and stories with no plot? I think this makes traditional publishing what is called a mixed blessing. *By the way, I do buy full price eBooks. I'm talking here about impulse buying sale books I've heard of and wouldn't have read otherwise or new to me items I'm willing to take a chance on because they're cheap.